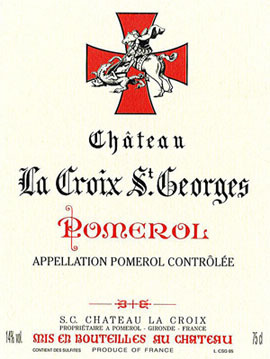 Affordable 2009 Bordeaux - unter dieser Überschrift wurden auf der Parker Website erobertparker.com die Ergebnisse einer Vekostung von fair gepreisten und hoch bewerteten 2009er Bordeaux veröffentlicht. Die 27 Verkoster des Verkostungszirkels "Executive Wine Seminars" (EWS) degustierten 13 ausgewählte Weine blind um den Beweis anzutreten, dass es auch großartige 2009er Bordeaux zu fairen Preisen am Markt gibt. "Deep color. Beautiful, rich, complex, floral nose reminds us why we love Bordeaux! We pick scents that recall dark cherries, chocolate, and rose petal. In the mouth, we are immediately struck with wine #8’s texture, which is superb. This is a well-crafted wine that is impeccably balanced. There appears to be a perfect balance between fruit, acidity, tannins, and alcohol. It’s refined and seductive with rich fruit and complexity. Long, consistent finish. There’s a lot to like here!" "Fairly deep color. Open, rich, ripe, attractive fruit-filled nose features scents of dark berries, tobacco, and smoke. There’s strong evidence of new oak! Big in the mouth, a full-bodied, chewy, juicy, well-structured wine clearly in need of cellaring. This youthful beauty shows a lot of tannin, balanced by lively acidity. Again, the oak suggests a modern style of Bordeaux. Only negative is a bit too much alcohol. Long, penetrating finish. Outstanding future."